Class diagrams are used around the world to get a quick overview of a system.It describes the structure of a system by showing its classes, attributes and operations of those classes and the relationship between those classes. 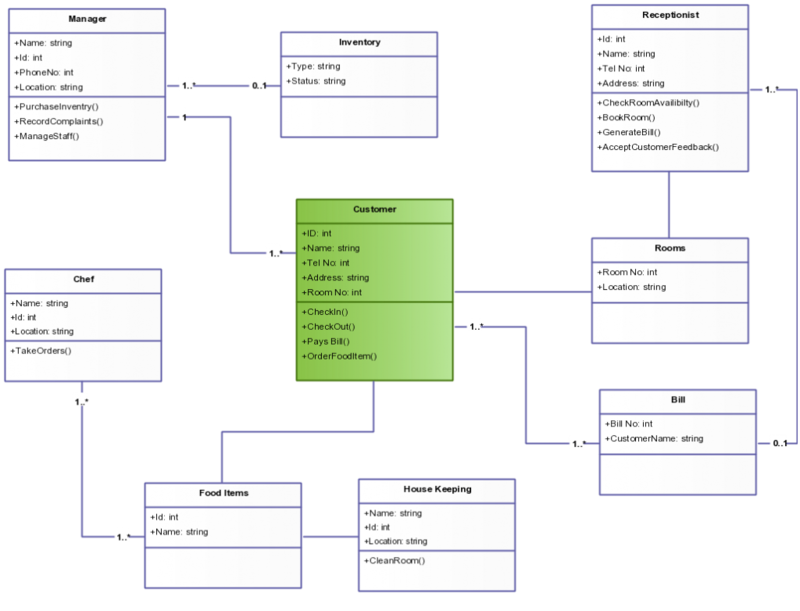 The Class diagram templates added below cover most systems found around the world. If your system is not there, you can find a related one and modify them to fit your needs. Modifying is always easier than drawing from scratch. 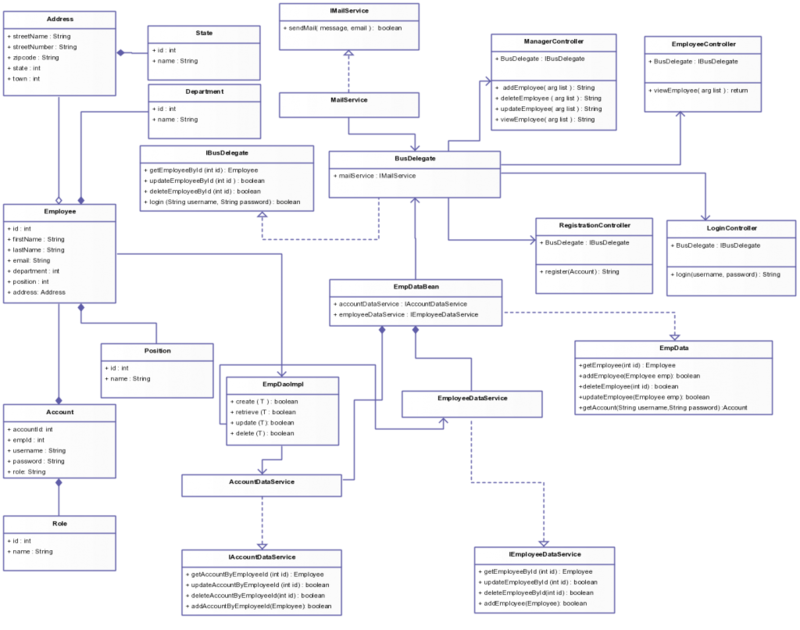 Class diagrams are the primary building block of object oriented systems. 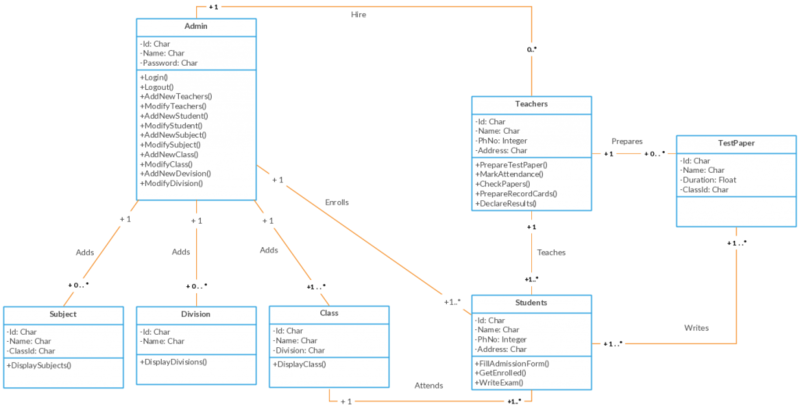 You can read more on class diagrams in our ultimate guide to UML Class Diagrams article. All the class diagrams shown below can be downloaded as images or modified online using our diagramming tool. 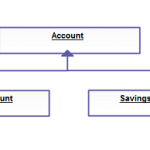 This is a Class diagram template which illustrates the structure of a bank management system, with 4 classes with visibility and validations of each class. 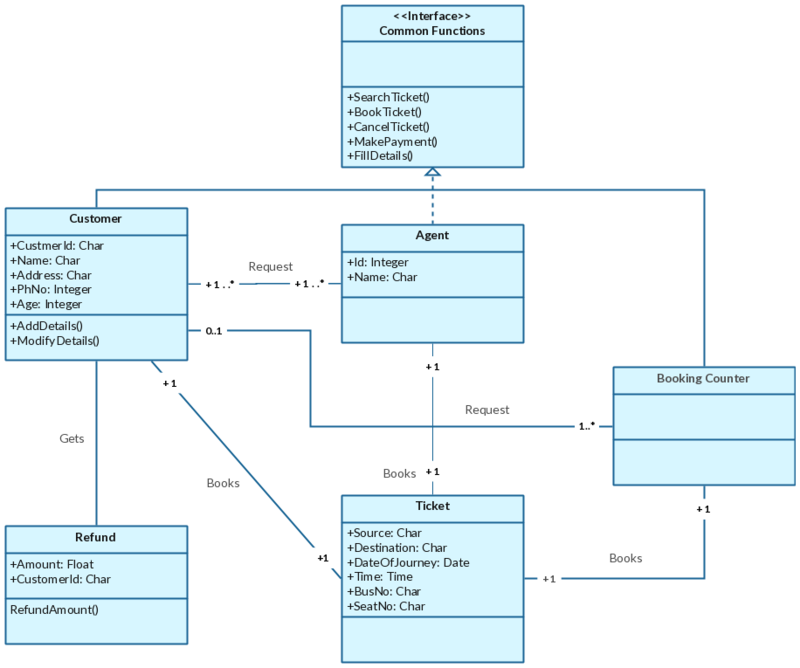 A real world banking system is far more complex than this, but this class diagram is a good place to start. This closely resembles a class diagram template for an ATM machine, teller etc. 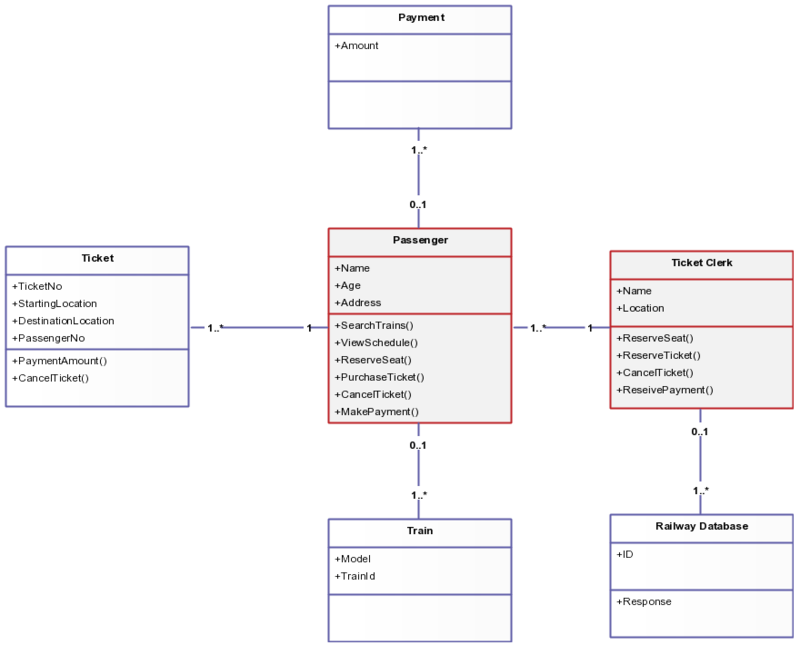 This template shows a Class diagram of a car rental system. Since this is far less than a banking system, it’s very close to a real-world scenario. You can modify and extend the diagram as you see necessary. Just Click on the image to use it as a template. 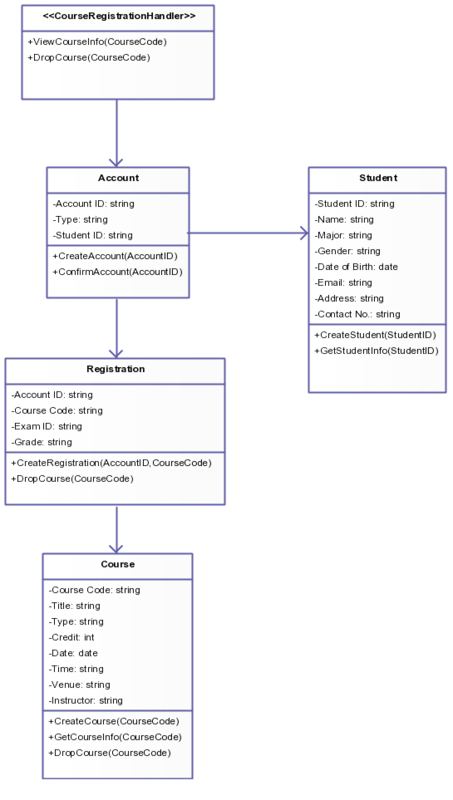 Another very popular Class diagram scenario is a student registration system. This is popular in software engineering classes because students can easily relate to the system. A typical student registration system will have way more classes than this, but this is excellent as a starter template. College management, school registration are few other scenarios that closely match this class diagram. 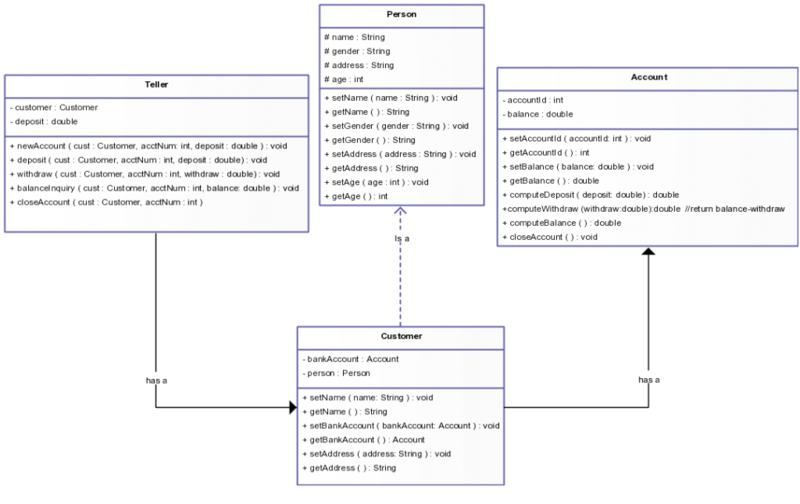 Now we move on to a bit more complex Class diagram. This template is for an employee management system and is pretty close to a real world scenario. But since different companies have different policies, this will differ from company to company. Just click on the image to modify according to your specification. Human resources systems, group management systems, payroll management systems are a few other systems that closely resembles this template. 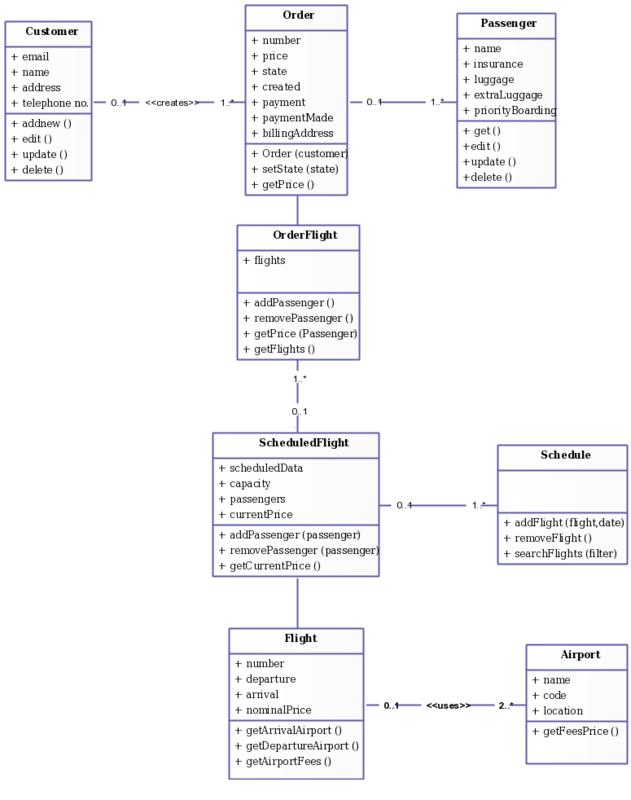 A Class diagram template for a airline ticket reservation system is shown below. A real world system will be definitely more complex than this, but all the basic operations are covered in this diagram. Flight reservation systems, airline booking systems, ticket booking systems, bus reservation systems are a few other scenarios that can be covered using this template. 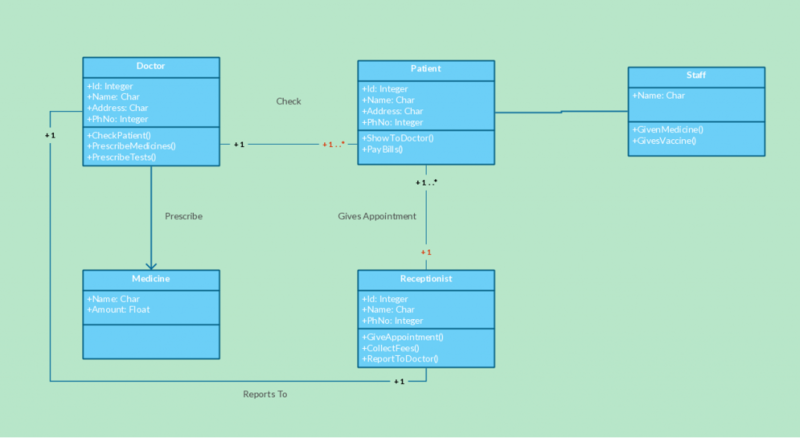 Class diagrams can be presented as more colorful and interesting to the audience sometimes, as shown in the Class Diagram Template for Hospital Management below. Click on the image to edit online. 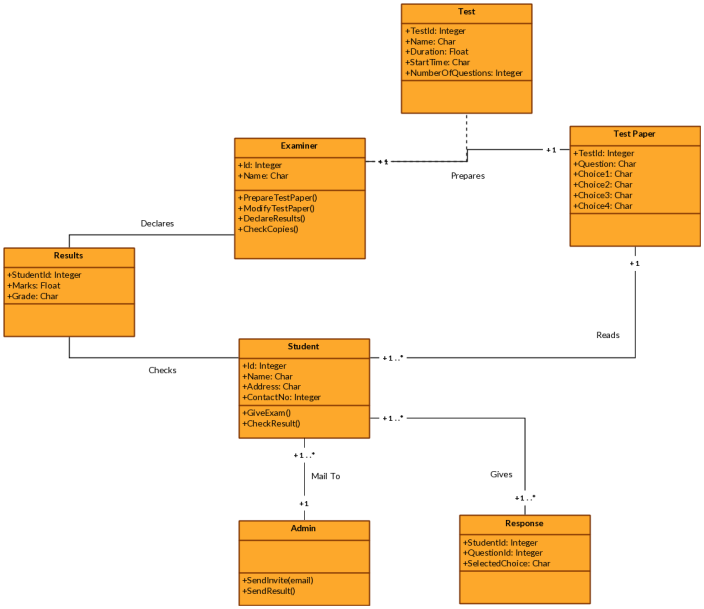 A Class diagram template for a Railway Reservation System. You can also use this template for buses, taxis, public transport, etc. Click on the image to modify using our Online Diagramming Software. 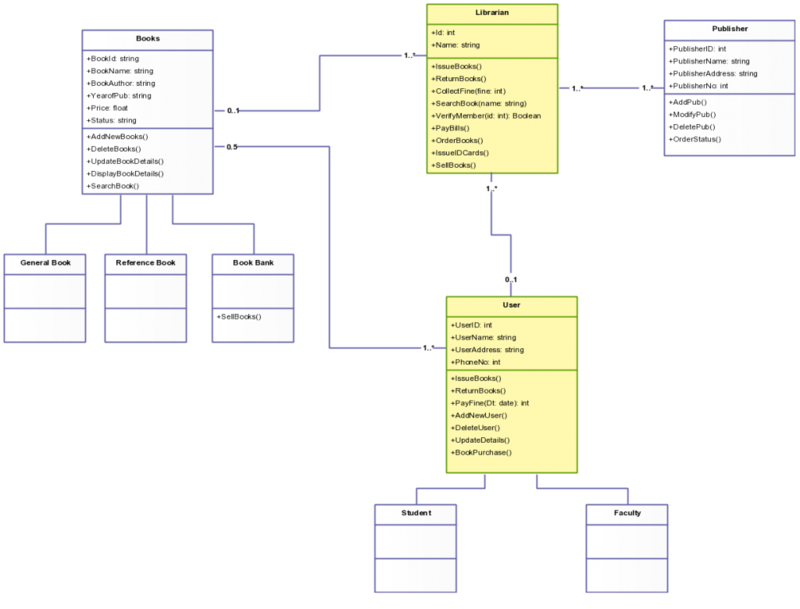 A Class diagram template for a College Management System. Various classes such as Admin, Students, Teachers, Class, Subjects, Divisions, and Test Paper are involved. Click on the image to edit online. 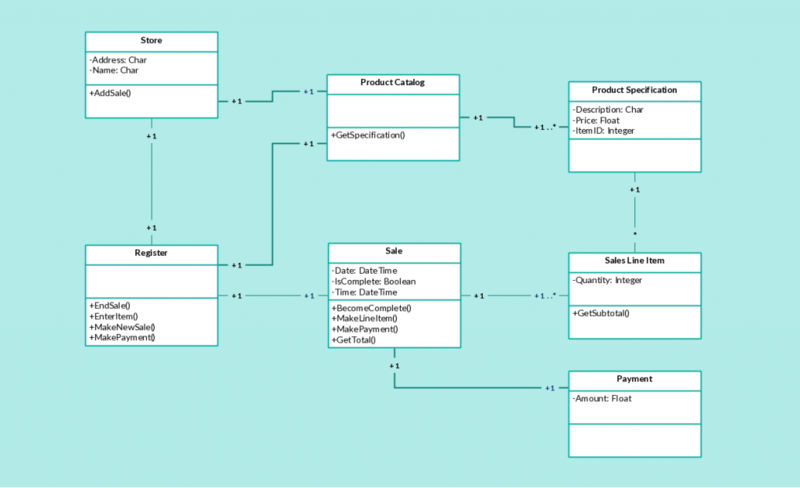 The Class diagram below shows a point of sales system. Each Class represents different stages involved in a retail transaction. The classes of a POS could vary according to different retail situations and their particular requirements. You can click on the image below to modify it as you prefer. The diagram below depicts a Class diagram for a courier management system. Various classes involved are the owner, franchise holder, client and employees. A system like this can be used for daily activities associated with a courier management system such as booking a courier, maintaining hub details etc. This Class diagram template is of a school management system. A template like this could be used to portray a management system of other institutes as well, but the various classes involved may change and the diagram could become more complex according to different organizations. 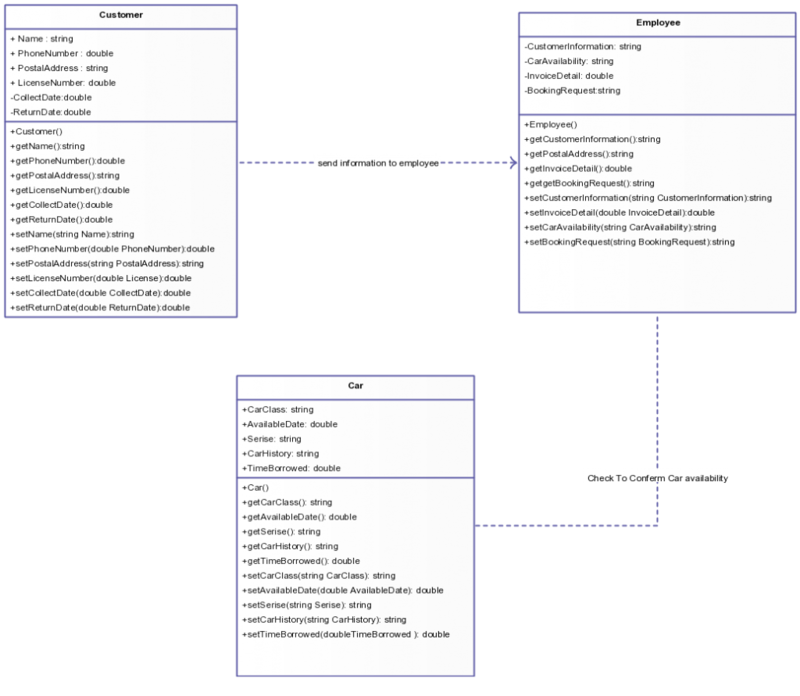 Shown below is a Class diagram template of an online examination system. The Classes do not always have to be plain; you can add color to them to make them more appealing to the viewers. 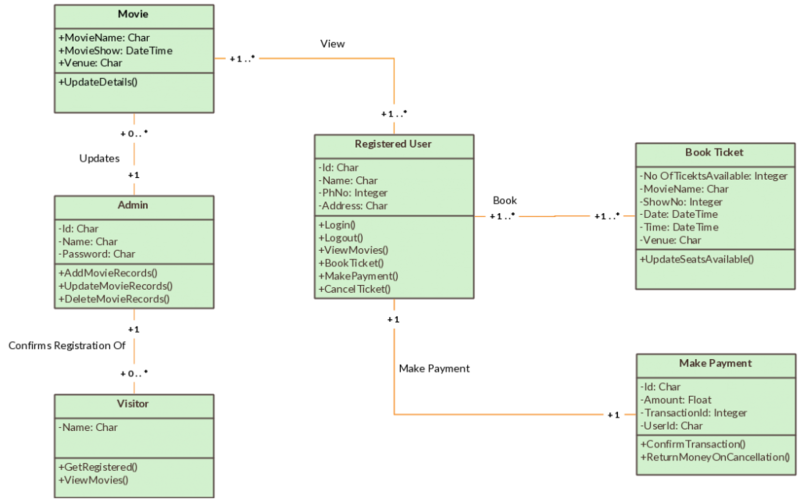 This is a Class diagram template for an online bus reservation system. A template like this can also be used to represent a railway reservation system, taxis etc. Click on the image to modify it according to your requirements. 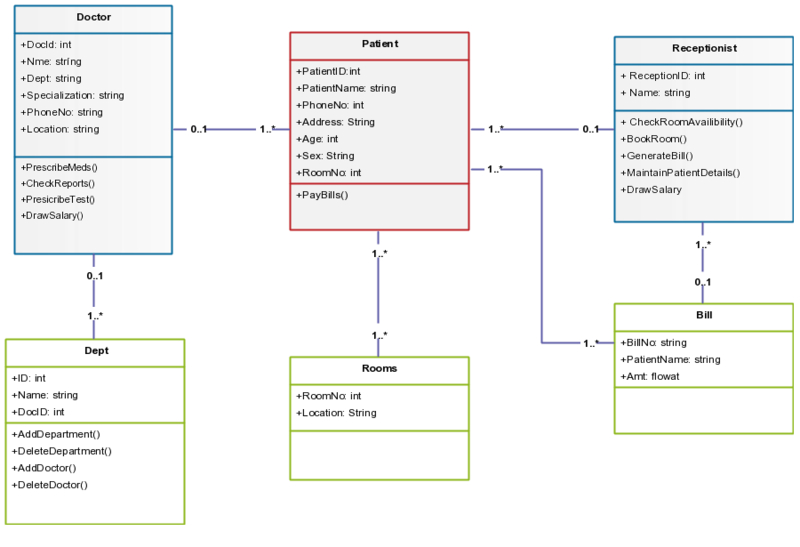 This template of a Class diagram shows an online medical clinic system. Doctor, patient, staff, receptionist and medicine are the various classes represented in this diagram. Click on the diagram to edit the template. You can also select a different color theme as necessary. 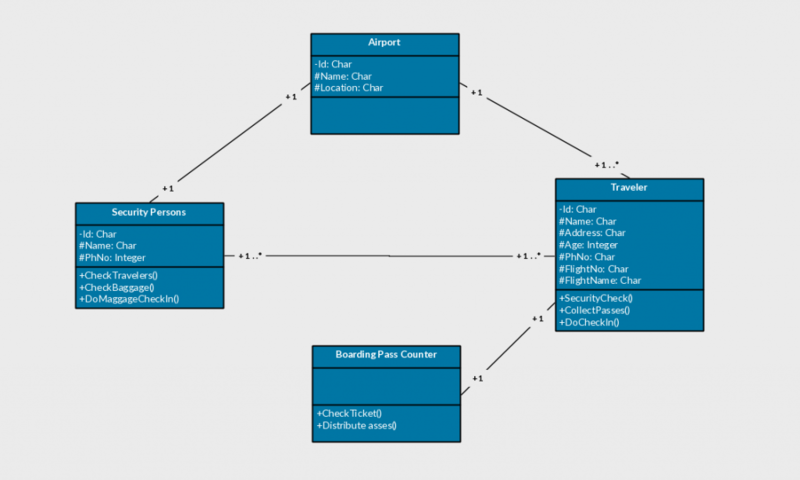 This simple Class diagram template showcases an airport security and check-in system. A template like this can be used to represent similar security and check-in systems in different public places such as at major train stations etc. 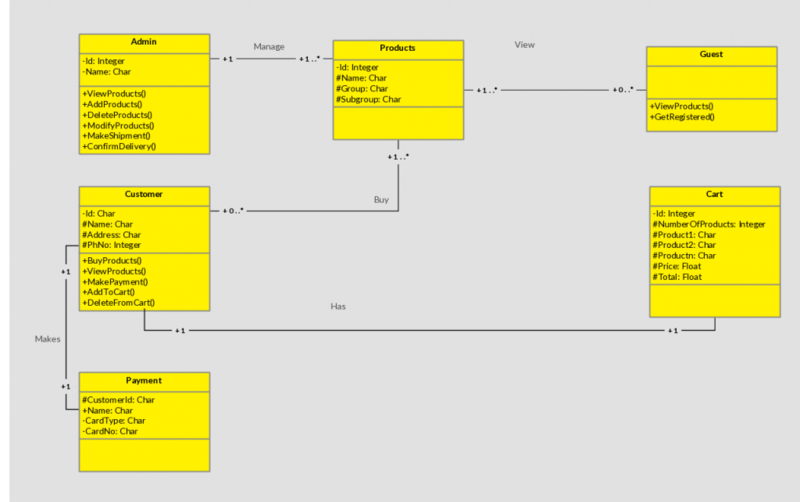 This is a Class diagram template of an inventory management system. A system like this could be used to track inventory levels, orders, sales deliveries etc. The Class diagram below portrays an online shopping system. More classes could be added based on the type of online shop you are building. Click on the image to edit the template as you want. This Class diagram template representing an online movie ticket booking system is somewhat similar to the other online booking systems we have discussed. Click on the image to edit as necessary. 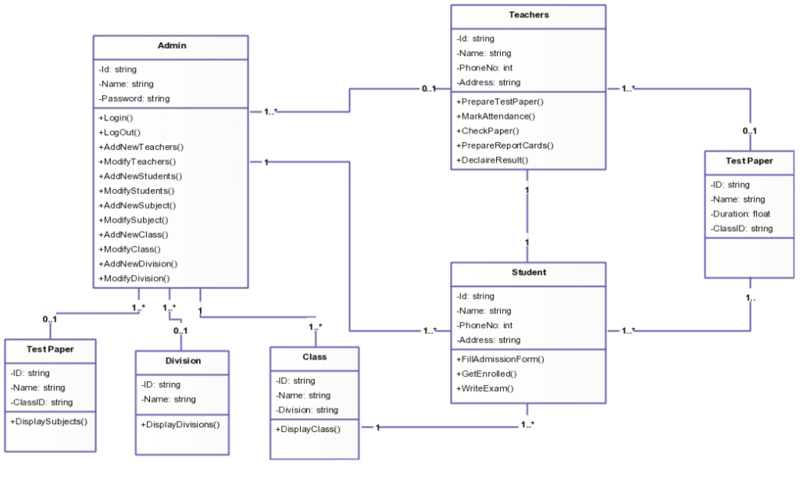 Listed above are some of the widely used class diagram examples. 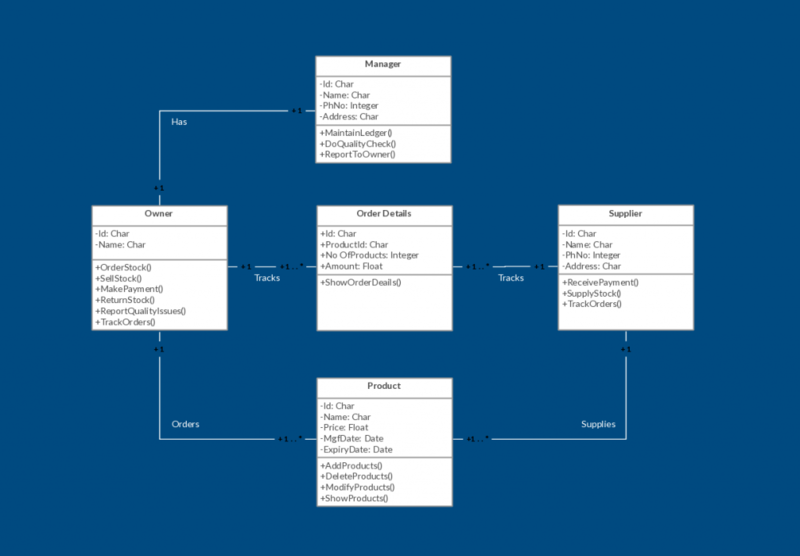 Explore more class diagram examples in our diagramming community. 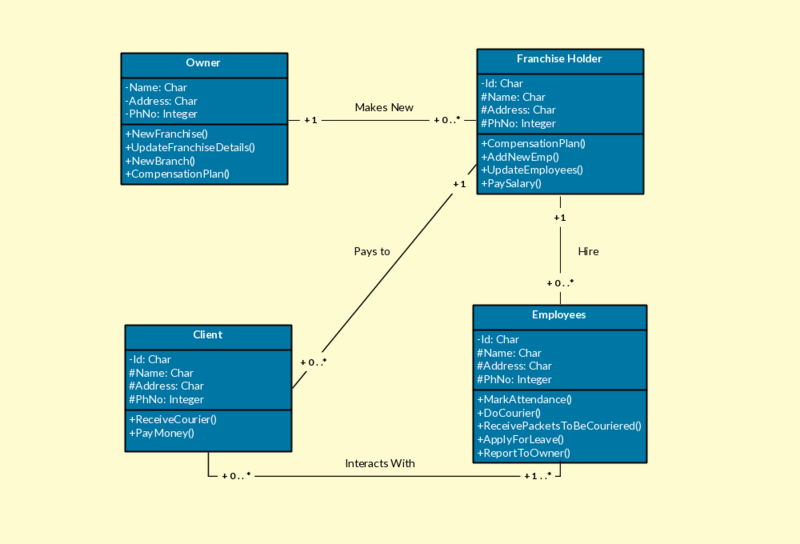 Make use of these class diagram templates to spend less time drawing. Thanks for the class diagram template for car rental system. We are from Car Rental industry in Malaysia anyway.